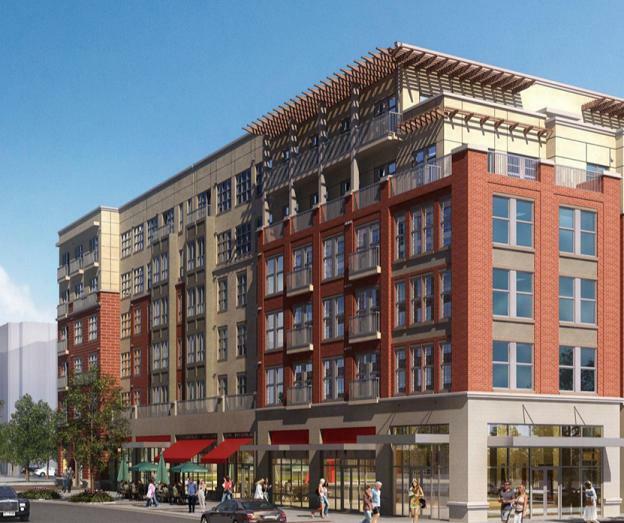 After month of rumors, developers officially announced that Target would be coming to downtown Chapel Hill’s Carolina Square on Thursday. We also learned more about who would be joining the discount retailer in the new development which is currently under construction. Pieology, a made-to-order pizza restaurant, and b.good, a farm-to-table fast-food chain, will both occupy space at Carolina Square. This will be the third Triangle location for Pielogy. The pizza restaurant features house-made crusts, signature sauces and dozens of fresh toppings. Most of their custom pizzas are expected to cost less than $8. The farm-to-table fast-food chain b.good specializes in local, natural and healthy quick serve food. Their menu includes kale and grain bowls, seasonal salads, all-natural burgers, all-natural salads, smoothies, and more. There are two other locations in Raleigh. Carolina Square is located at 123 W. Franklin Street. Target, Pielogy, and b.good are all scheduled to open in the summer of 2017. The development will include 246 apartment units and nearly 160,000 square feet of office space, in addition to the retail space.